Epiphone 940-ETBCS Hardcase for Thunderbird Style Bass Guitars - Premium quality hardcase with plush interior. 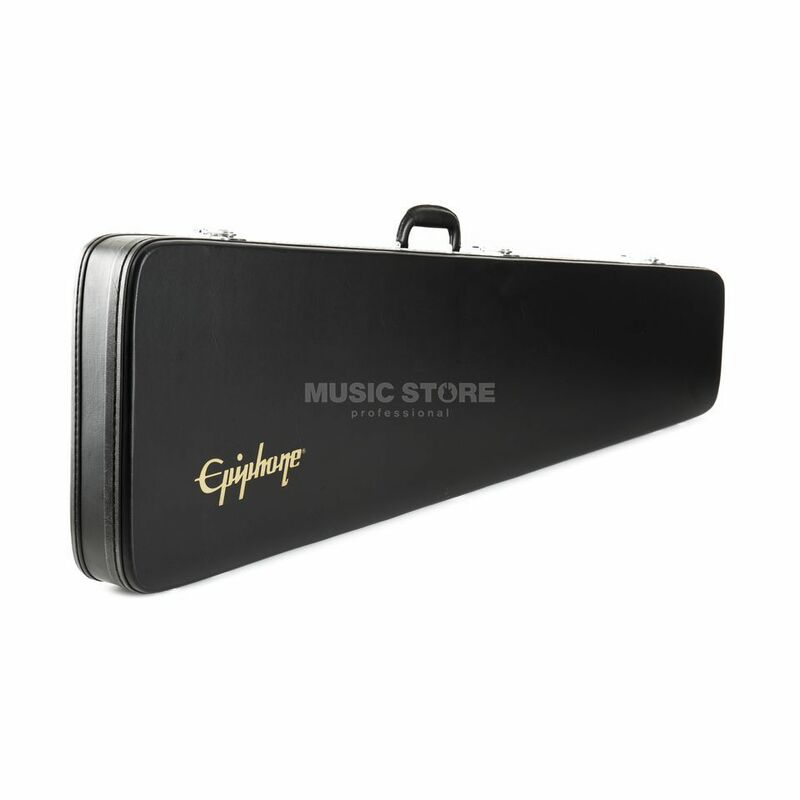 Epiphone 940ETBCS Hardcase protects your guitar safely when not in use or when on the move. Essential for all guitarists. Case arrived in great condition, 100% working. Fortunately, the inside pocket is big enough for 13" laptop. The only thing im worried about is total weight: guitar (Epi T-bird Classic-IV Pro) with hsc weights about 12kg. If you own a Thunderbird, youve got to have this case. This is a case made specially for your Thunderbird. Sturdy built, tough leather exterior, soft interior, great stitching, quality latches and hinges, comfortable swing handle and fits my bird like a glove. The case has gray faux fur lining the inside making it feel soft and luxurious. great case! perfect for thunderbird. includes big compartment for your stuf (strp,cabels, etc.) . this case is a little havy , but its not a big price for safe. Since I take it , I twice goind on toor whith this case, guitar in exxelent condiition because of its guarding capabilities. This case looks good, however had to leave it outside for a full week. Nasty chemical smell. The finish is good, nice furry protection for the Thunderbird and handy place holders for cables, strap and other accessories. Just received this in perfect condition. In my opinion its well worth the price as its very well made and fits it perfect without letting it lose, now I can protect my bass from humidity and transport it safely with no worries.